Here are a few different sleeping postures you can try along with their benefits. Sometimes the way we lie in our beds can enhance the quality and length of our sleep. Most of us turn over two or more times during the night, but there are still great starting positions for a great night's sleep. Here are a few different sleeping postures you can try along with their benefits. This position has the least impact on your head, neck and spine. Make sure your mattress is compliant enough to adjust to the natural curvature of your spine, and that your pillow is low enough to support your neck fully. This position helps prevent acid reflux, as your stomach will be lower than your oesophagus. However, it may enhance snoring, so it might work best when you sleep alone. Extreme snoring, of course, signals a medical problem and should be brought to the attention of your physician. A large, thick pillow, which elevates your upper body can help relieve snoring if it's an issue. Along with relieving stuffed sinuses and acid reflux, this position has been known to reduce the pain of temporomandibular disorders (TMJ) and other sources of head and neck pain. Be sure that you're fully supported when trying this. Some beds, including the ones in hospitals, have adjustments to raise the mattress at the head, which provides the best support for your spine. This is a good position for ameliorating back or neck pain, as well as reducing snoring. 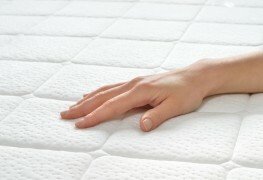 It allows the body to bend or stretch for maximum comfort. Sleeping on your left side can also optimize blood flow in pregnant women. Be sure that your pillow is thick and firm enough to support your neck and head above the shoulder. However, curling up too tight can bring on joint pain in the morning, especially if you suffer from arthritis. Although newborns generally sleep in this position, it's not ideal for adults. This posture sets your bones on top of your internal organs, potentially causing pressure and restricting blood flow. However, if you snore, this position may work best for you. Just be sure that your weight is well distributed over your mattress and that your head isn't jerked into an odd position by a too-firm pillow. If you're having difficulty sleeping, think about switching up your sleeping position.